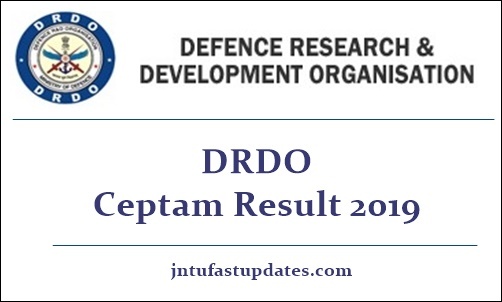 DRDO CEPTAM 9 Result 2018-2019: Defense Research and Development Organization (DRDO) has successfully conducted the Ceptam /Senior Technician Assistant B examination from 15th to 18th December 2018. Many of the hopefuls seeking to get DRDO jobs have competed for the Ceptam posts. The DRDO has conducted the written test in many examination centers across India. As per the reports, almost all the competitors have attended the examination as per scheduled dates. DRDO has made accessible of the answer keys of the conducted exam soon after the exam completed. Aspirants can go through the DRDO CEPTAM Answer keys 2018 from the DRDO official website, drdo.gov.in. Candidates competed for DRDO CEPTAM Posts and waiting for the results can expect the results shortly on DRDO website. As per the reports, the DRDO is anticipated to release the result this month (January). Hence the competitors can get ready to check the result. DRDO is the national level organization that is controlled by the defense ministry of India. The organization working for the Research and Development sector in India. The organization was found in the year of 1958 and consistently rendering its valuable services in various sectors. DRDO has recently announced a recruitment notification for 494 Senior Technical Assistant B Posts. DRDO annually announces various posts for CENTRE FOR PERSONNEL TALENT MANAGEMENT (CEPTAM). Many of the aspirants from India have applied for the announced posts during the application dates. The selection process includes written test (tier 1 and tier 2) and interview rounds. Candidates qualifying the rounds with a good score will be finally recruited in DRDO. Aspirants competed for CEPTAM 09 STA-B exam can expect the results shortly. Candidates can check the result from the official website, drdo.gov.in. Candidates can check STA-B result, cutoff marks, and score soon after the result declaration. The result is going to be announced in January [tentatively]. Hence the hopefuls can get ready to check the result. Keep visiting the DRDO website on a frequent basis to check the result. The cutoff marks/qualifying marks will be announced by the DRDO along with the result. Candidates scoring the qualifying marks/cutoff marks in the CEPTAM examination are said to be qualified in tier 1 examination. Candidate’s names who cleared the examination with a good score will be listed in the merit list. How to download DRDO CEPTAM 9 Result 2019 Online? Visit the DRDO official website, drdo.gov.in. On the homepage, CEPTAM Result tab will appear when the result is available. Plz result show with mark…. Sir when did electronics and telecommunication result comes out (post code 0111) ? Sir when did mechanical results come out..
Sir ji CEPTEM 9 ki Answer ki kab aayegi. When is the result of DRDO ceptum B ,tier-1?